Avon Products Inc. said in a quarterly filing Thursday that the DOJ and SEC rejected an offer in June to settle an ongoing FCPA investigation for $12 million and have not yet made any counter offers. Wal-Mart said in its annual report filed with the SEC Tuesday that because of uncertain outcomes of U.S. and foreign government bribery investigations and civil suits filed by shareholders, it 'can provide no assurance that these matters will not be material' to its business in the future. In an SEC filing Wednesday, global real estate services firm CB Richard Ellis (CBRE) disclosed possible FCPA violations in China. After a public company finds evidence of illegal payments overseas, there are decisions to make. Should the board launch an internal investigation? Should the company self-report its findings to the DOJ and SEC? What about a public disclosure? Before those decisions are made, though, there's usually a discussion about "materiality." It's a common subject in this setting. But it shouldn't be. As we've said before, the measure for compliance under the Foreign Corrupt Practices Act's books and records and internal control provisions isn't materiality but reasonableness. Issuers must "make and keep books, records, and accounts, which, in reasonable detail, accurately and fairly reflect the transactions and dispositions of the assets of the issuer." They must "devise and maintain a system of internal accounting controls sufficient to provide reasonable assurances that transactions are properly executed and recorded." Reasonableness, not materiality, explains a disclosure this week by Team Inc. The Alvin, Texas-based pipeline and valve repair specialist is investigating what it thinks are $50,000 of illegal payments in Trinidad over a five-year period. Just $10,000 a year. Not much by most measures, and impacting sales equivalent to just one-half of one percent of Team's global revenues. But lots of small bribes that go undetected for several years (if that's what happened) might mean lapses in accounting standards and gaps in internal controls -- and violations of the FCPA. That can be a big deal. During a recent internal management review of one of our branch operations in Trinidad, we were informed of allegations of improper payments, made by our local employees, to employees of certain customers, including foreign government owned enterprises. Consequently, the Audit Committee of our Board of Directors initiated an investigation of those allegations with the assistance of independent outside counsel. The investigation has found evidence suggesting that payments, which may violate the Foreign Corrupt Practices Act (FCPA), were made to employees of foreign government owned enterprises. While the investigation is ongoing, there has been no indication that the improper payments extend beyond the one Trinidad branch. Based upon the evidence obtained to date, we believe that the total of these improper payments over the past five years did not exceed $50,000. The total annual revenues from the impacted Trinidad branch represent approximately one-half of one percent of our annual consolidated revenues. We have voluntary disclosed information relating to the initial allegations, the investigation and the initial findings to the U.S. Department of Justice and to the Securities and Exchange Commission, and we will cooperate with the DOJ and SEC in connection with their review of this matter. The outcome of this investigation cannot be predicted at this time; however, the FCPA and related statutes and regulations do provide for potential monetary penalties as well as criminal and civil sanctions in connection with FCPA violations. Team Inc.'s common stock trades on the NASDAQ Global Select Market under the symbol TISI. 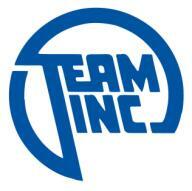 Download Team Inc.'s August 4, 2009 Form 8-K here. From William Jefferson's Trial. The jury convened for the last time Thursday and decided the former congressman must forfeiture close to $470,000. He was convicted Wednesday on 11 of 16 corruption charges, including conspiracy to violate the Foreign Corrupt Practices Act, soliciting and taking bribes, depriving citizens of honest services, money laundering and racketeering, and conspiracy to solicit bribes. Jefferson was acquitted of a substantive charge of violating the FCPA. He's now free pending his October 30 sentencing, when he faces a maximum penalty of 150 years in prison. It's a material world -- at least for auditors, public-company executives and securities lawyers. Material losses. Material misstatements and omissions. Material adverse changes. But wait. When it comes to the books and records provisions of the U.S. Foreign Corrupt Practices Act, forget materiality. The standard becomes reasonableness -- a head fake that confounds professionals and produces a steady stream of compliance calamities. Why reasonableness? Why -- for the FCPA's accounting standards -- should issuers "make and keep books, records, and accounts, which, in reasonable detail, accurately and fairly reflect the transactions and dispositions of the assets of the issuer?" Why do issuers have to "devise and maintain a system of internal accounting controls sufficient to provide reasonable assurances that transactions are properly executed and recorded?" Why are similar transactions measured at reasonable intervals as a way to sniff out impropriety? "But, materiality, while appropriate as a threshold standard to determine the necessity for disclosure to investors, is totally inadequate as a standard for an internal control system. It is too narrow -- and thus too insensitive -- an index. For a particular expenditure to be material in the context of a public corporation's financial statements -- and therefore in the context of the size of the company -- it would need to be, in many instances, in the millions of dollars. Such a threshold, of course, would not be a realistic standard. Procedures designed only to uncover deficiencies in amounts material for financial statement purposes would be useless for internal control purposes. Systems which tolerated omissions or errors of many thousands or even millions of dollars would not represent, by any accepted standard, adequate records and controls. The off-book expenditures, slush funds, and questionable payments that alarmed the public and caused Congress to act, it should be remembered, were in most instances of far lesser magnitude than that which would constitute financial statement materiality. "Reasonableness, rather than materiality, is the appropriate test. Reasonableness, as a standard, allows flexibility in responding to particular facts and circumstances. Inherent in this concept is a toleration of deviations from the absolute. One measure of the reasonableness of a system relates to whether the expected benefits from improving it would be significantly greater than the anticipated costs of doing so. Thousands of dollars ordinarily should not be spent conserving hundreds. Further, not every procedure which may be individually cost-justifiable need be implemented; the [Foreign Corrupt Practices] Act allows a range of reasonable judgments." See Foreign Corrupt Practices Act of 1977: Statement of Policy, SEC Release No. 34-17500 (Jan. 29, 1981) [46 FR 11544]. SEC Release No. 34-17500 is the codification of SEC Chairman Harold Williams' speech on January 13, 1981 to the American Institute of Certified Public Accountants Annual Conference. See also 15 U.S.C. §§ 78m(b)(2)(A) and 78m(b)(2)(B) [Securities Exchange Act of 1934 Section 13(b)(2)(A) 13(b)(2)(B)]. View Chairman Williams' January 29, 1981 Speech Here. Facing a decision to either stay in a joint venture or leave, when staying means violating the Foreign Corrupt Practices Act and leaving means breaching contractual obligations, is a legal disaster. But it's an easy trap to fall into. One U.S. company (called the “Requestor”) proposed to enter into a joint venture with a French company. There were doubts about how the French company obtained some of its contracts. So the Requestor took various precautions to protect itself against an FCPA violation. Accordingly, if it learned its French partner had breached the compliance warranty, the Requestor could terminate the relationship if the breach had a “material adverse effect” upon the business. The Lesson: Accept no limits or conditions on the right to terminate a joint venture when there is evidence of an FCPA violation. Strictly speaking, “materiality” should never be part of an FCPA discussion. A payment or promise to pay anything of value can violate the antibribery provisions, and the books and records provisions apply to any book, record or account. So size doesn’t matter after all. Even so, materiality discussions sometimes happen. For example, what test applies to small cash gifts to foreign officials that are unrecorded but discovered during pre-acquisition due diligence of a non-U.S. target? There is no purely quantitative test. Under U.S. accounting standards, small undisclosed amounts can be material, depending on all the circumstances. Some questions to ask are whether the payments are illegal under local law? If the payments stop, does the target risk losing a big amount of business? Do the payments mean the target's compliance in other areas is questionable? Do they violate loan covenants or other contractual requirements? An omission or misstatement about small illegal payments can interact with important aspects of the business and thereby become material. So it is more than a matter of numbers. View SEC Staff Accounting Bulletin: No. 99 – Materiality Here.